You’ve purchased your delicate Betta fish and have brought him or her home. One of the biggest decisions (of course equal first with which tank to purchase) once your little fish has settled in is what will you call your new family member? Some people are more creative than others when naming their school of fish. Some opt to name their Bettas after fictional characters while others go for something more simple such as Bob or Bruce. Finding a name that is unique yet matches the appearance and personality of your Betta can be tricky. 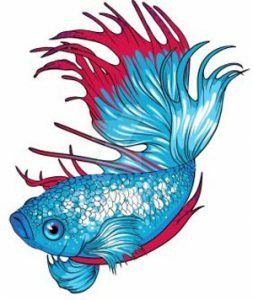 We have compiled some of the most adorable and suitable unisex names for your Betta fish.